January is a peak time for couples to separate or divorce, but few employers have sufficient measures in place to support staff going through this difficult time, says Rayner Grice. British businesses are suffering as a result of divorce and separation: this was the headline finding of research carried out at the end of 2014 by Resolution, a national organisation of family lawyers committed to non-confrontational divorce and separation. According to the survey, one individual in 10 going through a separation has had to leave their job after a split or know of a colleague who has. Furthermore, 16% of respondents have seen their workplace hit by sick leave following the stress of a break-up and 15% say that separation or divorce has a negative impact on productivity. January is the month when family lawyers see a stark increase in enquiries from couples seeking advice on divorce or separation. This applies to those that are cohabiting as well as married. Sadly, the pressures of the festive season, both in terms of financial strains and emotional tensions, exacerbate underlying difficulties in struggling relationships. 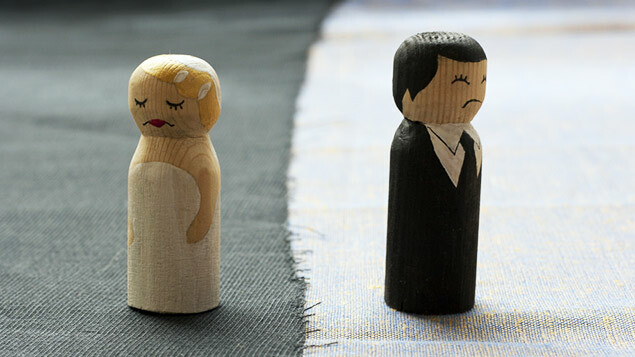 The Office for National Statistics recorded around 118,000 divorces per year in England and Wales in 2011 and 2012. But while the number of divorces remains stable, this rate needs to be viewed against a decline in the number of marriages and an increase in the number of couples who choose to cohabit. Regardless of the legal status of the relationships, their breakdown has a strong impact on productivity within the British workplace. It is estimated that divorce costs the British economy up to £46 billion every year, so there is a clear correlation between employee wellbeing and business productivity. As a family lawyer I repeatedly see, first hand, the impact that divorce and relationship breakdown has on individuals. I assist clients from various backgrounds, both those in high-level management roles and junior employees, and divorce and separation leaves them all feeling vulnerable. The impact the stress of the breakdown has on members of staff, which includes worries about finances and their children, should not be underestimated. As with a physical illness, the stress of a relationship breakdown can impact on an individual’s emotional wellbeing. This can be exacerbated if it is a more acrimonious and hostile split, particularly if it involves the couple’s children. That stress takes a large amount of an individual’s energy, which will naturally affect their productivity at work. A number of clients I have worked with have commented that it can make things worse if someone feels they are under additional pressures at work, or if their colleagues are not understanding about the consequences of their relationship breakdown, such as them needing to alter their working hours in order to be more readily available for their children. Within many organisations the way that an individual who is going through a divorce or separation is treated will very much depend on their line manager’s approach. There is generally no formal policy or procedure within organisations and little acknowledgement at how difficult divorce and separation can be. Yet, divorce is generally listed as one of the top five most stressful events to take place in a person’s life, along with experiencing a family bereavement. Most employees who suffer the death of a family member have the right to a “reasonable” amount of time off work. Divorce can sometimes be as traumatic as bereavement as it brings the same sense of loss and, as such, it should be viewed with similar compassion. That compassion should extend to being understanding when an employee needs to spend time seeking legal advice. There are many alternatives to court proceedings including mediation, arbitration and simple options of reaching a resolution outside of court, with the support of a solicitor. If the legal issues surrounding the relationship breakdown can be managed promptly and swiftly, this can minimise the stress around the separation. Employees should seek advice early in the breakdown of a relationship in order to give the individuals involved maximum opportunity for a quick resolution – perhaps even reach an agreement outside of court. Employers can have a huge influence in ensuring that their employees feel supported when going through relationship breakdowns. Some organisations run employee assistance programmes that offer staff confidential support including counselling, information, guidance and referrals on any work, personal or family issues. These services save employees time, stress and anxiety, and enable them to stay more focused and productive at work. January may be the busiest month for enquiries from divorcing and separating couples, but it could also be an opportunity for organisations to put simple procedures in place to make this life event less stressful for employees, enabling them to have a productive year. Rayner is a partner and head of the Birmingham family team at Clarke Wilmott. This article appears to neglect the aspect of confidentiality. In many cases an employee may not divulge that they are experiencing relationship problems and it is not until their work performance suffers that the facts may emerge in discussions with supervisors.